Looking for a new pair on Toms? 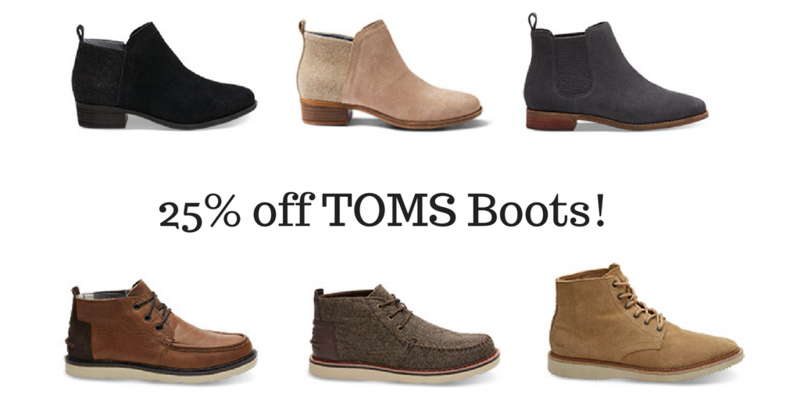 For a limited time, you can grab 25% off Toms boots. Use the code BOOTS25 to get the deal. The sale ends 10/11. Shipping is FREE on orders of $64+.